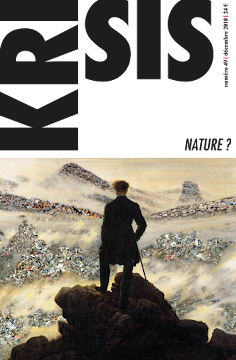 Entretien : The interview with french philosopher and historian of ideas Alain De Benoist about the organizer and principal philosopher of Action Française Charles Maurras. How did you encounter the work of Maurras? I became acquainted with the work of Maurras at the start of 1960. I was hardly more than sixteen years old. At this age, one especially draws convictions from one's curiosities. I firstly discovered the weekly Aspects de la France, which I read regularly for some time. On May 31st1960, I was also present at a meeting at Musée social for Restauration nationale. A few months later, having just started law school, I frequented a circle of Action française that met at the home of the future lawyer Bernard Vincenti. We read pages from Maurras there. There I learned that the founder of Action française had died, on November 16th 1952, in the same clinic of Saint-Symphorien in the suburbs of Tours, where I was born nine years earlier! But I don't have a very memorable recollection of this epoch. In the following years, I turned towards other horizons. Afterwards, I resumed reading Maurras, more seriously and especially more systematically. He even became one of the forty or fifty authors whose works I enjoyed collecting. Today I possess a little more than 600 books written by Maurras or other historic figures of Action française, or devoted to this school. I think that's not too bad, for a non-Maurrassian! Which of his books continue to influence your thought, your work, or your fight? On what questions do you think that a “critical review” of Maurras' work should be established? For me, Maurras is an object of study above all. His reasoning never convinced me. So the “critical review” that you ask me to draft is before all an occasion for me to say why I'm not a Maurrassian (something I've never had any occasion to do). My judgment will doubtlessly seem severe to you, even unjust. But it reflects what I think. It's not inspired by any negative feeling. In itself, this theory doesn't bother me: from the point of view of the history of ideas, the monarchical principle has evident merits. Rather the problem is that Maurras wants to be both the theorist of monarchy and the apologist for the French monarchy. On one hand, he enunciates a general principle; on the other, he believes that there exists a sort of privileged equivalence between this principle and its crystallization in a particular historical experience, the “forty kings who made France.” Nationalism and monarchism are nearly synonymous in his eyes, but it's apparently the first that leads to the second. That evidently limits the generality of his principle. The fact that numerous Germanic countries were governed by kings, for example, never diminished his anti-Germanic prejudices! His proof of the intrinsic superiority of the monarchical principle over the republican or democratic principle is associated with an idealization of the Ancien Régime, which I find unconvincing. Maurras, to only cite one example, didn't see that the intermediate bodies had started to disintegrate under the action of the administrative monarchy, and this disintegration began with the fight against the feudal system. He affirms that the French monarchy was fundamentally decentralized, while the opposite is true. This idealized vision of the Ancien Régime is not only contradicted by contemporary historiography. It was already contradicted by the particularly profound observations made by Renan and especially by Tocqueville in the 19th century. From this idealization of the Ancien Régime, Maurras was evidently lead to excuse the French monarchy from all responsibility in the events that lead to its ruin. Even though he refers to Joseph de Maistre, according to whom the value of an institution is demonstrated by its endurance, he forbid himself from searching in the very history of the monarchy for the causes of its decline and fall. The causes of the Revolution couldn't be endogenous. The Revolution can only be explained by the eruption of a “foreign” element in the French spirit. For him, this element is “Romanticism.” His book from 1925, Romantisme et Révolution, shows that for Maurras the two words were equivalent. So he immediately decrees that Romanticism is individualist, anarchist, revolutionary all at once, and moreover that it is totally “boche” [Translator's note: a French ethnic slur referring to Germans] or “Germano-Semitic.” To this “Germanic” Romanticism, Maurras contrasts the “Mediterranean” classicism of his childhood. He thinks that this classicism is strictly associated with the cult of reason. He believes that Catholicism is better than Protestantism because it accords more importance to reason. In contrast, he attributes the primacy of emotion, from which all false ideas flow, to his adversaries. As Utopias, these false ideas suffer from not being founded upon reason above all. His doctrine will develop from there, not only from the opposition between the monarchical principle and the republican principle, but from the two other oppositions, supposed to give true meaning to the first: the conceptual opposition between classicism and Romanticism, “ethnic” opposition between the Latin world and the Germanic world. I believe that a totally erroneous version of the history of ideas rests upon this manner of thinking. While the first counter-revolutionary thinkers had denounced, not wrongly, the thought of the Enlightenment philosophers, fundamentally rationalist thought, Maurras takes the opposite position of their observations here. Obsessed by the critique of Romanticism as fons et origo malorum [Translator's note: the source of evil], he didn't want to see that his adversaries also laid claim to reason. Liberalism claims to be based on reason. The revolutionary spirit is rationalist before all, the philosophy of the Enlightenment as well. Of course, there are many ways of positing “reason,” just like there are many ways to conceive “liberty.” But Maurras hardly poses the question. That leads him to challenge, in the name of reason, a revolutionary government that established the cult of the goddess Reason in France, by describing it as falling into tearful Romanticism and sentimentalism, and contrast it with the ideal of classic antiquity, while the members of the Convention were unceasingly giving Sparta and Rome as an example! Thus Maurras contests the thought of the Enlightenment philosophers by ascribing characteristics that are the opposite of his to it, and correspondingly, situates many of his views in the conceptual framework of his adversaries. On this basis, he praised a model of civilization that, that starting from the 17th century, quite logically lead to, from the very fact of the place it accorded reason (but of course, not exclusively because of that), the revolutionary collapse that he denounces elsewhere. In my opinion, he was totally fooled about Romanticism (a concept that serves as a catch-all for him),of which he only saw the “sentimental” component that he ceaselessly derides. He knew nearly nothing about German Romanticism, nor about the political theories of Josef Görres, Adam Müller, Justus Möser or Friedrich Julius Stahl. Any idea that he had of this vast movement is based on a superficial reading of Rousseau and on a superficial reaction to the positions taken by certain French writers after 1830 (Lamartine, Hugo). He ignores what links Romanticism to the spirit of the Middle Ages and an organic conception of society. He didn't want to admit that, not only in England and Germany, but also in France at the time of the Restoration, Romanticism was a powerful motor of traditionalism and challenge to the Enlightenment philosophers. He even went as far as criticizing the Romanticism of Chateaubriand, despite his evident religious and monarchical faith. Contrary to Barrès, he didn't see that “powers of sentiment” didn't necessarily push against his own direction. He especially didn't see that with Barrès, the emphasis placed on these “powers” was not a sentimental argument in itself, but an empirical observation in agreement with intellectual, if not scientific, argument. Conversely he didn't take in account that the classicism to which he laid claim always remains close to rationalism, which is the true motor of the philosophy of the Enlightenment philosophers, which he intended to fight. He didn't see that classicism often threatens to fall into a dry mechanicism or positivism, while Romanticism, through the importance that it gives to life, tends to restore true harmony, the natural (and cultural) harmony of organic structures and fatherlands. The manner in which he reduces the entire Revolution to Rousseau is also excessive. All revolutionary ideology doesn't stem from the philosophy of Rousseau, far from it, who was also an implacable critic of the market economy, English liberalism, and the cosmopolitanism of the Enlightenment philosophers. Moreover, Maurras didn't want to see that with Rousseau, the individualism of postulates is paradoxically linked to a political holism, which the projects of the Constitution for Poland and Corsica testify to. His approach to the evolution of intellectual currents in the 18th century is distorted by his prejudices. This attitude is all the more paradoxical as Maurras, just like he idealizes Ancien Régime, refuses to recognize his debt towards 1793, which is much bigger than his partisans would ever admit. A nationalist, Maurras didn't recognize that the political idea of the nation is a legacy of the Revolution before all, as this idea was only acquired through transferring the ancient prerogatives (sovereignty and indivisibility) of the king's person to a political body, the “nation” precisely. Certainly Maurras reproaches Jacobinism for arbitrarily identifying the fatherland with a political regime, in this case the Republic. But doesn't he also identify France with the monarchical regime, thus falling under the reproach he addressed to his adversaries, of “only loving a country that conforms to their ideal?” Her and there, however one finds a few points of admiration for the Convention with him. He joins in the paradoxical praise that Jacques Bainville made for the abominable Terror of 1793: “Despite its atrocious follies and ignoble agents, the Terror was national. It strengthened France's resilience against one of the greatest dangers it has known. It helped save it!” Bernanos wasn't wrong, in my opinion, to see Maurras as a sort of “white Jacobin,” an expression which had also been used by Edouard Berth. The same opinion, or nearly, was expressed by Jean de Viguerie in an important book, Les deux patries, which it is a pity that the media didn't speak more about it. Maurras was never racist in the classic sense of this term, but his Germanophobia is nevertheless an essentialism that comes close to it. This anti-Germanism is a bit paradoxical for a royalist, if one recalls the origins of the Frankish dynasty, the German princesses who would frequently marry the kings of France, and the warm reception of the “ émigrés of Coblenz” [Translator's note: referring to the French royalists who fled to the German city Coblenz], at the time of the Revolution. With Maurras it takes the form of an ethnophobia. Maurras fights “eternal Germany” all the more systematically, as he strictly knew nothing (and wanted to know nothing) about this hated Germany, starting with the language. Proud of his Provençal origins [Translator's note: from Provençe in the south of France], which one can't criticize him for, he considered the Germanic and Celtic world, Germany, England, as countries with an inferior culture, whose inhabitants will always remain “Barbarians,” prisoners of their passions, their emotional reactions, and condemned to “anarchy” by this fact. Hence his incessant, and frankly even ridiculous, invective against the “Boches,” their “barbaric culture,” their “corrupt doctrines” born in “regions that enjoy little sunlight.” In the spirit of anti-Dreyfusard pamphlets and the revanchist literature of the years 1871-1918, he even goes as far as producing a fantasy genealogy that permits him to equate the Jews and Germans as revolutionaries: “The fathers of the Revolution … come from the Jewish spirit and the varieties of independent Christianity that rage in the Oriental deserts and German forests, that is to say in the various roundabouts of barbarism.” Statements that bring a smile when one knows that Siéyès, conventional “anti-Boche” avant la lettre and regicide, credited the Revolution with putting an end to the privileges of the “Germanic race,” having denounced an aristocracy descended from “the Sicambri, the Welches (sic), and other savages from the woods and swamps of ancient Germany” since 1789 (Quʼest-ce que le Tiers-Etat ?)! This “anti-Boche” bias would lead Maurras to support the policy that would lead to the abominable butchery of 1914-1918, in the name of “the sacred union.” It lead him to applaud the treaty of Versailles, which he still found too moderate, thus endorsing the evolution of international law towards a “moral” conception (the criminalization of the enemy), whose tragic outcome we see today. Likewise it lead him to approve, in 1923, the occupation of the Ruhr, which, with the humiliation arising from the Treaty of Versailles, thus takes its share of responsibility for a European civil war whose effects we still haven't overcome. Equally ethnocentric is his idea that “Romanity” is synonymous with “civilization and humanity.” “I am Roman, I am human: two identical propositions,” he said in the introduction to La démocratie religieuse. A proposition that, not only erroneously reduces France to its Latin component alone (“I am Roman because, if I wasn't, I would have almost nothing French!”) - and consequently makes France the equivalent of “humanity” - but basically doesn't differ from this left-wing ethnocentrism that never stops posing the aspiration for “progress” and the particular traits of the Western spirit as “universals.” I will add that it is quite extraordinary to glorify France for having constantly fought against the Empire, while praising Romanity, whose imperial principle is exactly the opposite of the nation-state. What must also be noted here is the systematic association, ethnophobic as well, that Maurras makes between false ideas and “foreign” ideas, to the point that one never really knows if these ideas are both false and foreign, or, more probably, if they are not false because they are foreign in the first place. So the (objective) truth of a concept is self determined and traced to its (subjective) origin. That's doubtlessly why Maurras remains incapable of outlining a true general theory. He affirms his “universal” hopes (a universal he reduces to Romanity), but he only conceives of an application for his principles on the hexagonal level (Translator's note: referring to the “Hexagon”, mainland France]. He wishes for the restoration of monarchy in France, but rejoices at the spread of democratic ideas in neighboring countries, which he wants to weaken. The nature of the principles he claims to have is evidently affected, because there is no general principle. 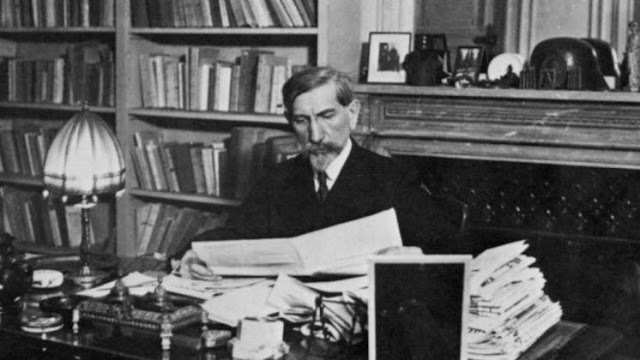 Like Julius Evola or Othmar Spann, but unlike Sorel or Barrès, Maurras is also systematic author. By that I mean his doctrine forms a closed ensemble, that it constitutes a “perfect” edifice, which one cannot disturb the least element of. Therefore one cannot be half-Maurrassian: one totally adheres to his system or not. That's what explains the dogmatism of his partisans, who never cease to spend their time demonstrating, with supporting citations, the correctness of his views, judging any criticism of the Master's work, even moderated, unsupportable. Unfortunately Maurras himself encouraged this attitude. Once his system had been exposed, it never changed. Instead of continuing to advance his thought, he was content to multiply variations on the same themes, embroider the same affirmations, in texts often mixed with invective, destined to show how much he was always right. The result is that his thought, while remaining flexible and articulate, was disconnected from a part of reality. During the second part of his life, he was content to camp on unmovable, nearly ahistoric, positions. He never ceased to militate for “political truth” without seeing that politics is not only an affair of principles, and that “truth” in politics is characterized by an appropriate response, not only to principles, but to necessarily changeable social-historic circumstances. Maurras assures us that its sufficient to stop relying on feelings, and appeal to “reason,” in order to avoid falling into Utopia and reach a nearly perfectly ordered system. He is very proud of building his system through unquestionable logical deduction, though he only makes abstract demonstrations. His mistake is to believe that accurate reasoning is sufficient to reach truth. It is to believe “that reason is one, that all correct reasoning can only lead to a single conclusion, which is inevitably true, and consequently any doctrine that, instead of relying on the intuitions of passion and sentiment, desires to correctly reason about the relations and man and society, about the problem of the political and social structures to establish, can only soundly and justly admit a single solution, Charles Maurras' solution,” as Emmanuel Beau de Loménie notes. There's not only a pretension that one can judge to be exorbitant. There's also a certain naivete because, as I said before, his adversaries nearly supported the same thing, except, of course, they believed that “just” reasoning would lead to the opposite conclusions. All theoretical systems, even the best constructed, are vulnerable in their foundational postulates. Maurras forgets that truth doesn't only depend on the art of reasoning, but also on first principles, which are inherently unable to be proved. In social and political matters, these postulates define an anthropology, that is to say a manner of representing the nature of man. The problem in this domain, is that nothing is decided in advance. According to the idea that one has about human goals, many anthropologies are always possible. Yet Maurras doesn't start from a definition of man or his particular destiny. He starts from society, which is quite different. He limits himself to stating that it's the primary fact, which is not inexact, but he doesn't question the nature of this fact beyond measure. It doesn't suffice to say that, following Aristotle, man is a social animal in order to derive a definition of the best possible society. Maurras says that “society doesn't arise from a voluntary contract, but a fact of nature” and that “all society is constructed according to natural necessities.” That's true, but what should we take from it? To say that “society comes from human will” doesn't prevent the desire to associate from playing a role in it. Maurras praises “necessary inequalities,” but doesn't say which inequalities can be proven to be superfluous, even harmful. Society is an ambiguous concept. Every society is heterogeneous, crossed by contradictory currents. The recourse to a concept so ambiguous as “nature” doesn't make it possible to make a decision. A “natural politics” should take into account the determinations of which man is the object, but a naive determinism quickly leads to blindness concerning what is specific (or indeterminate) in the social. Even his concept of the political is ambiguous at least. The misunderstandings about what Maurras wrote regarding “politics first!” are well known. Far from supporting the primacy of the political, Maurras explicitly affirms that the economy is “more important than politics,” what it is the real goal of social life, and that's why it should come after politics, “as the ends come after the means, as the destination is placed at the end of the road!” In such condition, any reflection about the essence of the political becomes impossible. Finally one is struck by the extraordinary quantity of phenomena witnessed by Maurras, but on which he remained mute (or blind). While he spent a considerable time commenting on day to day politics, Maurras was incapable of analyzing the movement of modernity, studying the rise of the bourgeoisie, making the least theoretical consideration about legal philosophy, the paradigm of exchange, the development of technology, the conditions of social change. There is not even an analysis of Fordism, Taylorism, and Americanism in his work. He saw the birth of Leninism and Hitlerism, but never could produce a convincing theory of the totalitarian phenomenon (maybe because the problem of the restoration of the state and authority in the state remained essential for him, he had trouble perceiving the pathologies of an ideal of “order” that he was content with contrasting to “anarchy.”) In a more general fashion, one could search in vain for a veritable sociology, psychology, or anthropology with him. In scientific matters, his knowledge is nearly nothing, in economy too. Certainly, no author can focus on everything. But one could be surprised to not see the least discussion of the theories of a certain number of his contemporaries in his work, namely (to only take the first that come to mind) Max Weber, Marcel Mauss, Oswald Spengler, Werner Sombart, Carl Schmitt, Eugenio d'Ors, Giuseppe Bottai, Giovanni Gentile, Rosa Luxemburg, Anthony Ludovici, Vilfredo Pareto, Roberto Michels, and many others. Rarely has a political theorist analyzed so few of the profound doctrines and tendencies of his time. Among the great authors, Maurras was only interested in writers and poets. In the political-ideological domain, his conceptual universe essentially remained that of the late 19th century. Without falling into facile psychoanalysis, it's likely that his deafness explains much. Living in the firmament of pure ideas, Maurras remained indifferent to many things that unfolded beneath his eyes. His irritable pride, which made him refuse to admit that he could be fooled and made him rail with an incredible violence against those who dared to contradict him, doubtlessly played a role as well. Finally, he rather quickly became the prisoner of his own audience. Unconditionally praised by his disciples, he never wanted to go against these praises. He never wanted, at the risk of misunderstanding, to make those who admired him question themselves, to push their questioning further. It is always difficult to be both leader and theorist. His partisans locked his work in a museum, with a vulgate [Translator's note: referring to the translation of the Bible] disguised as a program. He certainly deserved better than that. Allow me to add, to conclude, that in his critique of sentimentalism there is an evident (but rarely noted) struggle against himself. His youthful writings proclaim it, the rest of his life indirectly testifies to it: Maurras the reasoner was an emotionalist first. By critiquing “Romanticism”, one gets the impression that it's a part of himself that he wants to exorcise. Does Maurras' situation in publishing and the press seem like an injustice to you, a continuation of the civil war dating from the 1940s or the testimony that his work has become unreadable for vast majority of our contemporaries? Among the different fights that Maurras lead, which ones should still be pursued at the turn of the 21st century? Maurras' situation today is incontestably an injustice, among many others, and at the same time the continuation of an old civil war (the past that they strive to prevent from happening). I will add that its also a testimony, also among many others, to the extraordinary political un-refinement and extreme intellectual mediocrity of those who condemn him based on hearsay, all of whom are incapable of appreciating, even in a critical manner (as I did myself, in a certainly much too rapid manner) the place that he occupies in the history of ideas. That said, it seems certain that his half-political, half-literary style, frequently mixing invective and lyrical flight in the style of the “Invocation to Minerva,” is outdated today – even more outdated than many of the writings that date from the end of the 19th century. We must also say that those who claim him the most haven't done much recently to republish his work. Maurras was a more than prolific author, but the immense majority of his works can't be found on the market. This lack evidently helps the distortions regarding his thought. The Maurrassians fidelity to their old master is respectable. Like all fidelity, it's even admirable. But one could like it to be more intellectually active. If the Maurrassians want people to read Maurras, why don't they take the necessary initiatives to do it? But of course, there is also the fact that our epoch has become foreign, largely, if not essentially, to the Maurrassian formulation of problems. As a theorist of monarchy, Maurras tended to reduce everything to the problem of institutions. In doing so, he didn't see that different institutions can go hand in hand with an identical social situation, and conversely, from one era to another, or from one country to another, identical institutions can function in entirely different ways. He wanted to give nationalism rigor by turning it towards monarchism, without seeing that he ultimately oriented it towards an impasse (without resolving any of the lingering questions of nationalism). Certainly institutions have their importance, and there's no doubt that some are better than others (though it still needs to be clarified: better in relation to what and in which circumstances?) But we live in an epoch where the role they play is decreasingly important, which also explains why they are all in crisis. Modernity has been completed and the nation state, its most accomplished product, is only a decomposing cadaver, whose obsolete character appears more clearly every day. Monarchy can enjoy a retrospective sentimental favor, in the political scheme the Republic is no longer contested by anyone. (It's also revealing that “national-republicans” are the group that Maurrassians find themselves most strictly associated with today in their “souverainiste” combat.) Divine right monarchy has become unthinkable, for evident reasons, the monarchy can only be a constitutional monarchy today, that is to say a crowned democracy. An eventual re-establishment of the monarchy in France could maybe have symbolic or (horresco referens !) sentimental value, but it wouldn't resolve any of the political problems of the moment. Whether institutions are republican or monarchist, Western societies increasingly resemble each other today. They evolve together from the base, starting from the social, and not from the top. Mores precede the law, and not the inverse. It's this fundamental transformation that we must question, rather than repeating the disconnected principles of all possible forms into the void. The distinction between the real and legal nation, the Maurrassian counterpart to the civil society – public sphere dichotomy of liberal authors, was valuable for a long time. Today it has become partly fallacious. In the absence of a theory of political apathy, it's only a low cost means of reassuring oneself. In the present time of continents and regions, communities and networks, Maurras can seem oddly obsolete. I will add more personal remarks to that, uniquely intended to help comprehend my position. I do not situate myself in the movement sometimes called the “national movement.” I don't have unconditional sympathy for the Ancien Régime (of course, without ignoring its merits or most glorious moments). The French monarchy fought against the feudal principle, which was the keystone of medieval society. It imprisoned the aristocracy in the deleterious atmosphere of the Court, favored the rise of the bourgeoisie, and laid the bases of absolutism, thus creating the conditions of its own downfall. For my part, I am a partisan of European federalism. Retrospectively, my sympathies go to the theorists of empire, popular jacqueries, the Peasant's Revolt of 1525, the monarchomaques [Translator's note: French Huguenots opposed to the monarchy], Althusius, French socialism, and the “non-conformists” of the 1930s. I believe in the value of the imperial model. I believe that today's stakes are continental stakes, that is to say European. I believe that a strong Germany is the most natural guarantee of European stability, that France has an immense role to play in the Arab-Mediterranean space. I believe that anti-Germanism always aligns itself with the enemies of Europe, as the alliance concluded by the French monarchy with the Turks shows. In other words, if I've never stopped taking interest in Maurras, his thought has had little influence on me and does little to nourish my thinking. However, I will add that his theory of intermediary bodies seems to remain the most relevant part of his thought. Of course, I also adhere to his maxim on political despair as “absolute stupidity.” It remains more relevant than ever. The young Maurras understood that, in order to recreate the social fabric and restore society, we must start from the bottom, which implies decentralization, if not autonomy, even direct democracy. Simultaneously, he denounced the “Hebrew Christ,” the “venom of the Magnificat” and in Anthinéa (a work that he initially wanted to call “Promenades païennes”), qualified the first apostles as “a convoy of seamen, prophet, necromancers, and agitators without a fatherland.” Consequently, as everyone knows, Maurras distanced himself from these writings of his youth. In politics, he rallied to the idea that things proceed “from the top,” that is to say through institutional reform. In the religious scheme, he ended up converting. You won't be surprised that I prefer the young félibre [Translator's note: Provençal for student, from which the Felibrige, an association of Provençal writers who advocated for the use of Provençal in literature, took its name] to the “dear Master” of the Académie française and the literary jubilee of 1937. In the history of ideas, I believe it is just to recognize Maurras that was not a first rate author. All questions of political tendencies aside, he is far below a Hobbes or Machiavelli, a Rousseau or a Karl Marx, a Sorel, a Proudhon, a Max Weber, an Othmar Spann or a Carl Schmitt. He only factors into the interwar era, because France, which gave the best of its literary production at the end of the 19th century, was singularly impoverished in regards to theorists during that era, especially if we compare its situation with the astonishing doctrinal flowering that manifested in Spain, Italy, and Germany at the same time. (The best exceptions were found in the galaxy of the “non-conformists”, namely from Jeune Droite to L'Ordre nouveau, or from Maritain to Mounier). On the other hand, what makes Maurras extraordinarily important, it's that he was, for decades, both a writer, the leader of a school of thought, and the leader of a political movement whose considerable influence was remarkably durable. It's an extraordinarily rare case. Political leaders are rarely true theorists, and ideologues rarely have the capacity (or desire) to lead political movements. This characteristic alone justifies an interest one should take in him. What would be desirable now, would be to resume Maurrassian studies in the spirit of what the late lamented Victor Nguyen had started to do. Of course, these studies only have meaning on the condition that they remain separate from all hostile bias as well as all devotion. It would be particularly interesting if they had a comparative aspect, which they've lacked until now. For example, we could compare the anti-Romanticism of Maurras with the anti-Romanticism of Schmitt, or better yet draw up a table of the (real) similarities and (numerous) differences between the thought of Maurras and Julius Evola's or Othmar Spann's thought. It's only a suggestion. Maurras deserves better what what his detractors think, who generally haven't read him, and he also deserves better than what his partisans think, who have read him, but who often enclose him in trite formulas. Whatever one thinks about his ideas, ultimately one can only have admiration and even affection, for this old fighter who devoted his entire life to his ideas, and who served them with such courage, passion, and selflessness. He was a Don Quixote, to whom Léon Daudet was Sancho Pança.